The Pear Dark and Stormy takes a classic cocktail recipe and tweaks it just a bit to make it a perfect drink for Fall. Products were provided to me free of charge by Drizly. As always, all opinions are my own. This drank is brought to you in partnership with the good folks over at Drizly. We’ve talked about them before in a couple of posts. 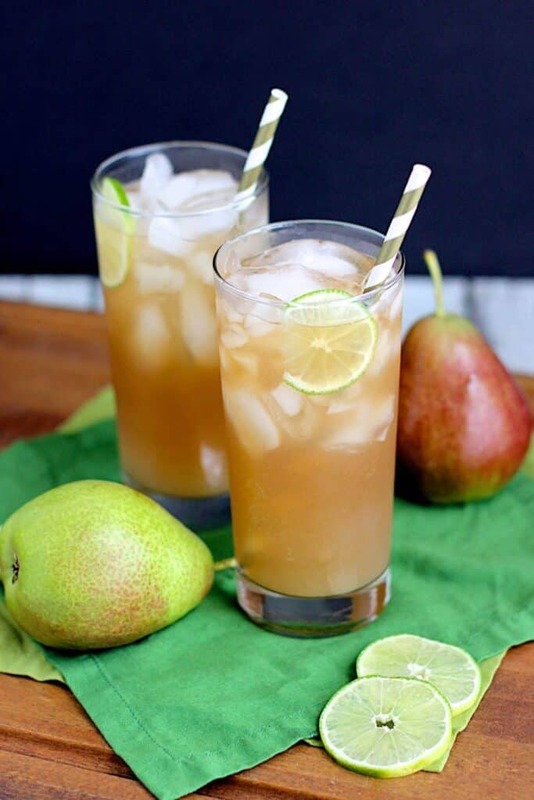 Take a look at these Caramel Apple Moscow Mules and Bourbon Pumpkin Shrub Cocktails for more information and alcoholic deliciousness. 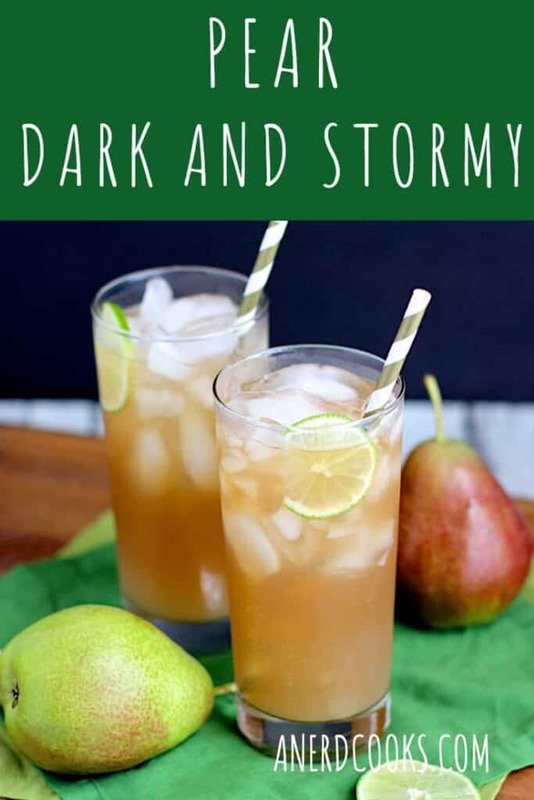 We’re taking a classic Dark and Stormy (dark rum + ginger beer + lime) and adding a fall twist with some subtly sweet pear juice. We’ve really been tapping into some classic Fall flavors with our cocktails lately. In addition to pear, we’ve used caramel and apple and pumpkin and cinnamon. Do yourself a favor by taking advantage of the season and trying them out. Fill a tall glass with ice. 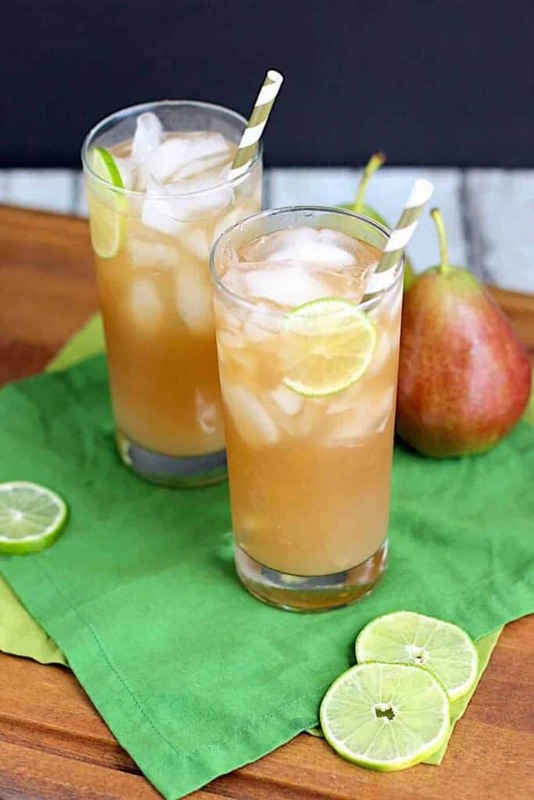 Add the dark rum and top with pear juice, ginger beer, and fresh lime juice. Give it a gentle stir and add the thin slices of lime.